Dundee Heritage Trust and its operating company Dundee Industrial Heritage Limited are both registered charities formed in 1985 to preserve and interpret Dundee's industrial past. Verdant Works has scooped an international award for architecture after a stunning transformation that took it from a dilapidated building to a leading museum, visitor attraction and venue. The Open Gallery at High Mill, part of the restored Verdant Works, was recognised in the conservation category of the 2018 Civic Trust Awards for its outstanding architecture, planning and design. Verdant Works joins winners from across the world including Sydney, Rio de Janeiro and London. Its owners Dundee Heritage Trust said the award “puts Dundee firmly on the international map in terms of design and culture”. The Civic Trust Award went to James F. Stephen Architects who helped develop the building from the point of collapse to its reopening to the public in 2015.  Owned by Dundee Heritage Trust, Verdant Works is an important social history museum, visitor attraction and venue in Dundee. Verdant Works opened – with the public’s help – in September 1996 and completed the second phase a year later. Late 2015 saw the opening of High Mill, the oldest part of the building and a stunning space which recently hosted the Great Tapestry of Scotland. Many of the items in the museum are donated by residents of Dundee, who consider it the home of the jute industry in Scotland. “We are delighted to see the High Mill Project at Verdant Works getting this international recognition from the Civic Trust. It was an ambitious and innovative scheme that transformed a derelict and dangerous building into stunning new galleries and learning spaces and gave us the facilities to host lots of new activities and events. Dundee is now firmly on the international map as a cultural and design centre, and we’re proud to be part of that. An awards ceremony will be held on Friday 9th March 2018 at Old Trafford, Manchester.  For all the latest News from RRS Discovery & Verdant Works, or to return to the latest news from DHT	please use the following links.